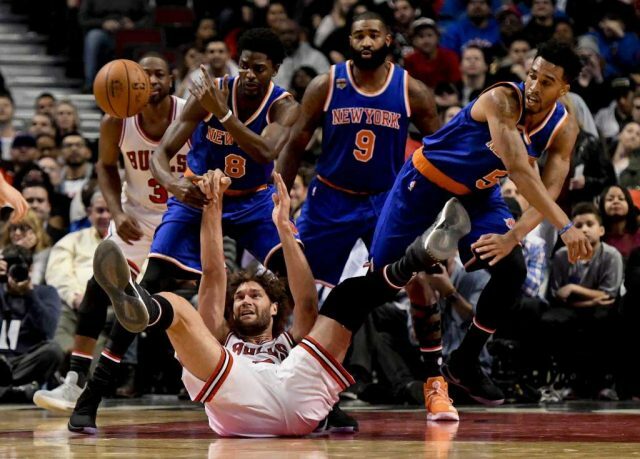 CHICAGO – Friday night, the New York Knicks played with much more passion and cohesion against the Chicago Bulls. The Knicks went into the United Center, and dominated the Bulls for a 117-104 win. It’s almost hard to believe the Knicks were embarrassed 118-99, Wednesday night to the Houston Rockets. This was a huge road win for New York, and a big step in the right direction. Here are five of the biggest takeaways from Friday night’s win over the Bulls. New York did a great job of not turning the ball over Friday night. The Knicks had a season low of five turnovers against Chicago. This was the first time this season that the Knicks limited themselves to under 10 turnovers in a game. Currently, the Knicks are 5th in the NBA in own turnovers (12.4) per game. This game was a glimpse for fans at how well this offense can function. 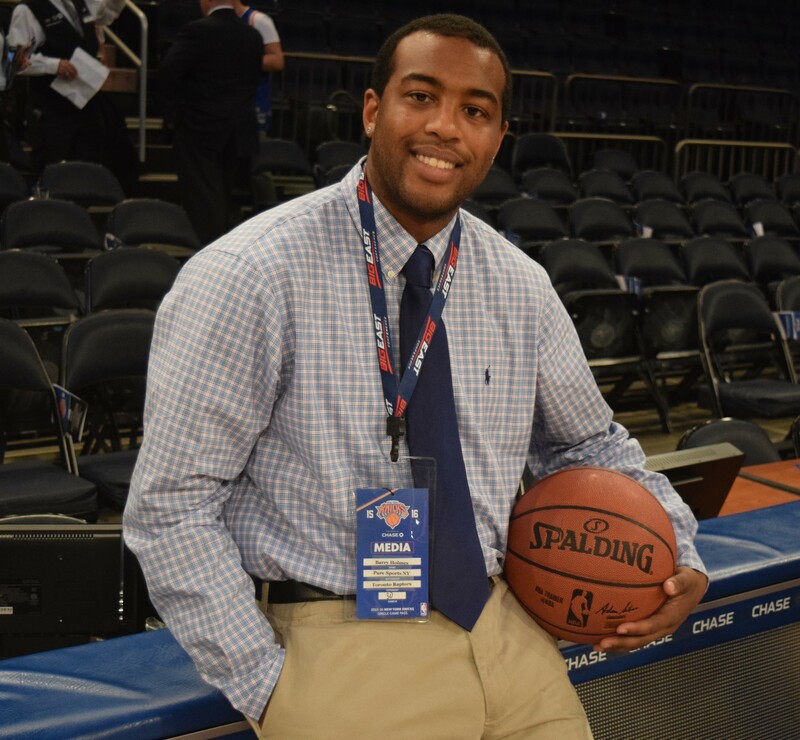 New York looked for the open man, and made the extra pass all night long. Friday night, the Knicks had a season high 32 team assists. Derrick Rose led all players in assists (11). Rose had a total of 10 assists through four games, coming into Friday night. (Photo Credit: AP Photo/Matt Marton) Anthony driving past Jimmy Butler Friday night. Carmelo Anthony and Kristaps Porzingis have been the consistent scoring tandem for New York to start the season. Friday night, it was Porzingis’ turn to lead the team in scoring. Porzingis finished with 27 points, and Anthony had 25 points. Anthony is averaging 21.8 points per game and Porzingis is averaging 17.0 points per game this season. Porzingis was very efficient from the field (10 for 15), including hitting 4 of 7 from downtown. The Knicks played better defensively than they did on Wednesday night. However, the Knicks again failed to hold their opponent to under 100 points. Opposing guards have had success against the Knicks, and Friday night was no different. Dwayne Wade went off for 35 points, and Jimmy Butler added 26 points of his own. New York allowed Chicago to score 48 points in the paint. The Knicks have to do a much better job of limiting close scoring opportunities, and keeping teams off the free throw line. Chicago went 22 of 27 from the charity stripe. (Photo Credit: David Banks-USA TODAY Sports) Rose and Noah played well in their return to Chicago. The Bulls organization showed a video tribute to both Rose and Joakim Noah. This was Noah and Rose’s first game back in the United Center, since being traded to New York. Noah rebounded from his sub par performance Wednesday night, by tallying 16 points, nine rebounds, four assists and three steals. Rose has really impressed with his aggression going to the basket this season. The seven year veteran looks rejuvenated, and has been consistently producing. Friday night, Rose had arguably his best game as a Knick (ironically against his old team). Rose finished with 15 points, 11 assists, seven rebounds, one block and a steal.